Rumors have been circulating throughout the watch community this week that Rolex has officially discontinued the reference 116710BLNR “Batman” GMT-Master II. Although similar rumors have existed since last spring, when the “Batman” did not appear in the latest edition of the Rolex brochure, a recent Instagram post announced that the discontinuation of the Batman GMT-Master II is actually happening this time and that it will no longer be available through authorized retailers. There are rumors that the GMT Master II Batman is discontinued. Not being able to purchase a reference 116710BLNR through an authorized retailer is nothing new for the “Batman” GMT-Master II, as dealers have had lengthy waitlists for them for quite some time now. However, as long as the “Batman” remained in production, there was always that distant promise that your name might eventually come up, and that a brand-new example could be yours without having to pay the steep price premiums that exist on the secondary market. Shortly after Baselworld 2018, Rolex distributed updated brochures to all of their authorized retailers, which included the new watches that were released at the show. Rolex fans rejoiced at the announcement of the stainless steel, “Pepsi” reference 126710 BLRO GMT-Master II, and the hype surrounding its release easily eclipsed all other, Rolex-related news of the festival. 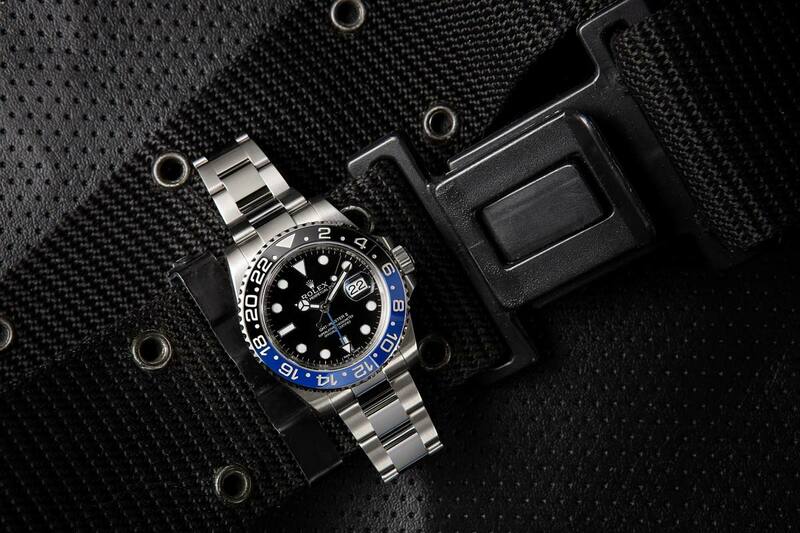 The vast majority of the news surrounding Rolex’s Baselworld announcements concerned the new watches that they would be introducing to their lineup; however very little covered what was being discontinued – most notably, the black and blue, “Batman” GMT-Master II. Should we believe this rumor about the Batman GMT? At the present time, the reference 116710BLNR “Batman” GMT-Master II is one of the hottest watches in the world, and pre-owned examples – even those that are several years old and show signs of wear – are all selling for significantly above their original retail price. 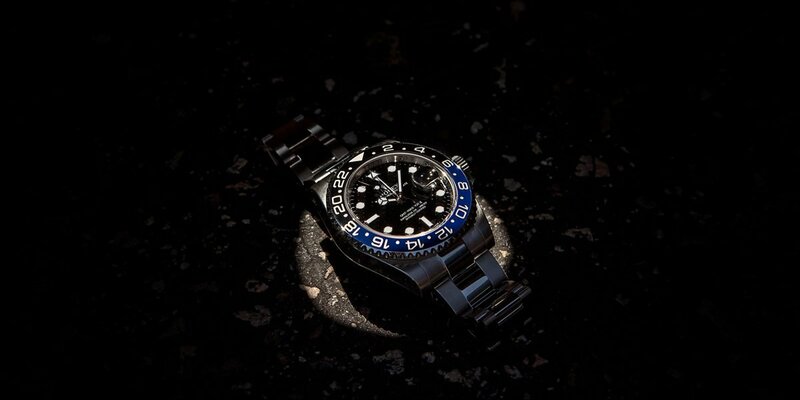 Given the ample demand for the “Batman” GMT-Master II, it seems almost impossible that Rolex would choose to discontinue such a successful and highly coveted model; however Rolex is Rolex, and not all of their internal decisions follow the expected, profit-maximizing behavior exhibited by most companies. 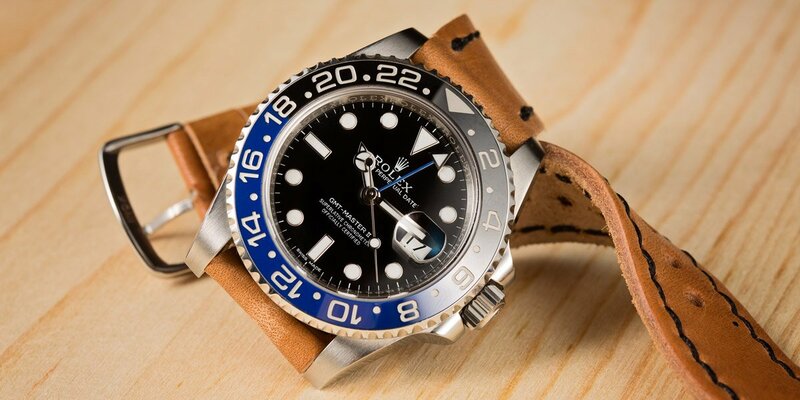 It is possible that Rolex discontinued the “Batman” with the release of the reference 126710 BLRO “Pepsi” GMT-Master II, and has been spending the last year selling off remaining “Batman” GMT watches, as they simultaneously ramp up production of its replacement. Both watches are craft from stainless steel and feature bi-color ceramic bezels, and given the limited scope of Rolex’s offerings, it would seem only logical for one watch to replace the other, rather than for the two, very similar timepieces to be offered alongside one another within the Rolex catalog. The Batman is a beloved watch in high demand, so why would Rolex cut it? Until Rolex releases an official statement regarding the discontinuation of the reference 116710BLNR “Batman” GMT-Master II, nothing is truly confirmed. At the present time, the “Batman” remains an option on Rolex’s official website – as it has since its absence from dealer brochures was first noticed. Despite the rumors, there could be a possibility that the “Batman” actually has been discontinued, and that we have simply been enjoying the remaining stock of “Batman” GMT watches for the last year.